[S728] Source: Letter and pedigree chart from Marilyn Pickering, 492 East 100 South, Pleasant Grove, Utah 84062, dated 02 February 2000. Robert was born at Halifax County, Virginia, on 15 May 1822.1 Robert died on 16 September 1912 at Danville, Virginia, at age 90. He married Mary Kennon.1 John was born in 1676. John died in 1729. [S463] Source: R. Bolling Batte Papers -- Biographical Card Files, Bolling, R, beginning with card 26 of 159 (http://198.17.62.51/cgi-bin/drawerIII/disk8/CC/BA/005/B0054, The Library of Virginia, 800 E. Broad Street, Richmond, VA 23219-8000. She married John Bolling.1 Mary died. Mary was born. Anne died. Anne was born. Beverly died. Beverly was born at Cumberland County, Virginia. 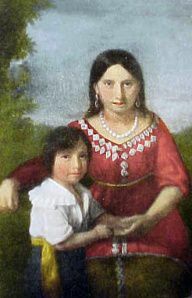 George was born at Georgia on 26 September 1824. He married Elizabeth Jane Tabb at Hardin County, Texas, in 1869.1 George died on 15 January 1910 at Pittsburg, Camp County, Texas, at age 85. His body was interred after 15 January 1910 at Pittsburg, Camp County, Texas, at Rose Hill Cemetery. He married Amanda Tabb at Smith County, Mississippi.1,2 Bob died. Bob was born.